Maxwell has always been a huge fan of MAM since he was small. We have used many of their products including their toothbrushes, first cutlery sets and Maxwell has always used their dummies. Recently we were sent a selection of products for Maxwell to use and enjoy. The MAM Sports Cup is a fantastic creation. Maxwell normally ends up needing a new bottle after a few weeks however we have had the MAM cup for around 4 weeks and it is still in like new condition. Many bottles of juice often spill all over our carpet with Maxwell around but this cup is spill free. We also have the problem of Maxwell biting the plastic spout as he is still teething. This often ruins the spout but thanks to MAM's design this is also not a problem and the spout has stayed in one piece. The cup holds 330ml of juice which is a good amount for Maxwell and the cup itself is strong and study. It has been thrown out of the pushchair and around our lounge many times and it is still in one piece. 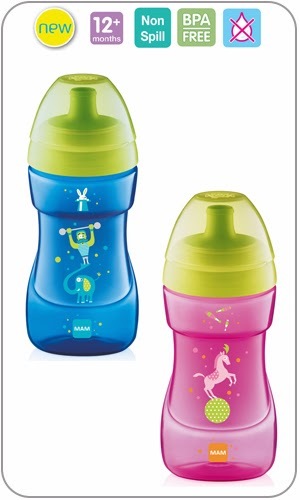 The cup has a cap which helps the bottle to stay hygienic and ensures me that Maxwell is not going to pick any germs up. Maxwell is prone to loosing his soothers. I spend around 10 mins a day hunting around for a soother for him, just to use for bedtime or nap time. I have used soother clips in the past to ensure Maxwell does not loose the soother however these days are over and now Maxwell is smart enough to remove the soother clip. 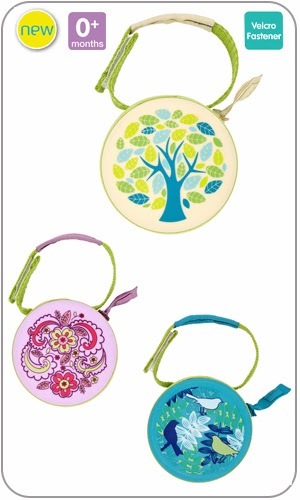 MAM have come up with a fantastic new creation to ensure that your child's soother is always safe! The MAM pod is a small plastic case which is big enough to hold 2 MAM soothers in. It is the perfect handbag size accessory however it also includes a Velcro fastening meaning you can hang the plastic case off a car seat, a pushchair or around your changing bag handle. The pod has a easy to use zip opening which can be opened fast if you are in a rush. I have found that the MAM pod does not only save me money due to soothers going missing meaning I have to replace them but also ensures that Maxwell has a clean soother at all times. You are able to view the the official MAM website here and also find them on Facebook and Twitter here and here to find all the latest news, products and competitions.